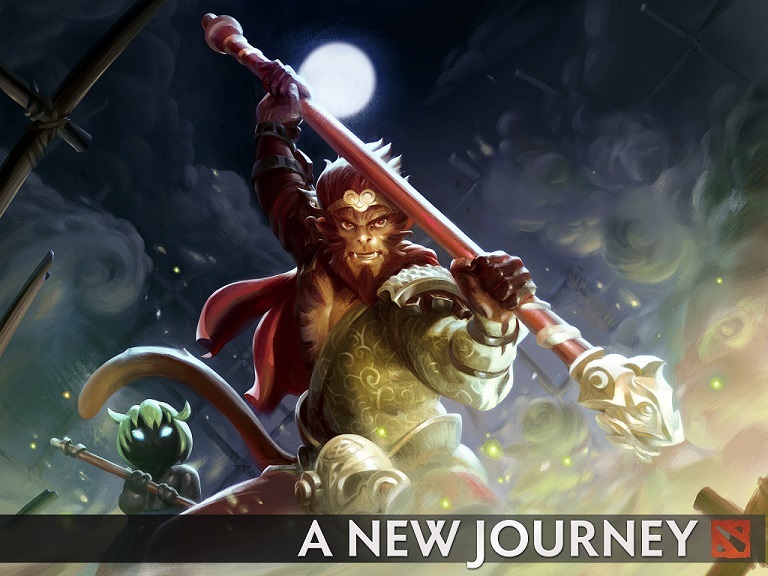 Update 7.00: The New Journey for Dota 2 isn’t your typical, “Let’s add a new hero and change up a few things” patch. Technically, it does do those things, but there’s a whole lot more. The page with all the patch notes is found here, and you can click on all the individual links to get to pages chock full of details (and shiny animations). There’s that new character, the Monkey King, and no, we don’t think Valve just lifted him wholesale from Smite. He’s a nimble melee character who comes with his own comic, as well as a terrain skin, Arcana pack, and voice pack you can purchase. Not interested in a new hero? Check out the re-designed game interface, minimized and simplified to make it easier to focus on the action. Want a fancy pre-game load screen and better selection UI? Valve’s got you covered. Community-authored bots, hero remodels, and showcase view improvements also add to the game’s aesthetic charms. Oh, and then there’s the tiny matter of gameplay changes. I went to the patch notes page and it took me over 100 Page Downs to get to the bottom. Hero talent trees change how heroes augment their capabilities, and there are plenty of numerical changes to leveling, items, various mechanics, and individual hero powers. Maps have changed, illusions now give gold and XP bounties, and heroes now have a backpack for carrying extra stuff they need for recipes. Yay, inventory management! So, yeah, Update 7.00 is plenty big and should dramatically change just about everything about Dota 2. Tell us what you think of the changes in the comments below! Ex-DotA player here who nowadays only follow it’s eSport scene. This patch’s magnitude is so big I can’t even imagine Icefrog and co. have thought everything through. Last patch was probably one of the most balanced patches in eSport history but this one might be the opposite. I’m kind of torn whetever I like it or not and I guess only time will tell if the new systems and map works with DotA at all. Monkey King is fairly broken though, thats for sure. Congratulations, your sentence is dumb in more ways than one !